Gloria Daly was probably the most recognizable person on Hilton Head. She is known by school children, their teachers and administrators. She is known by Rotarians, community leaders and concert goers. She is known by every CEO and local artist. She was known by performers across the globe. The Oyster Recycling and Reef Building Initiative received more than 11 tons of shucked oyster shells during its first season. The Outside Foundation began ORRBI after receiving a $9,015 grant from the Patagonia Environmental Grants program last fall. Together with the state Department of Natural Resource’s SCORE program, i2 Recycle and ORRBI established an oyster shell recycling collection facility at the Coastal Discovery Museum and created a shell pick up route with 12 participating local restaurants. For more information, go to The Outside Foundation’s Facebook page. The Beaufort County School Board unanimously voted to hire Herbert Berg as interim superintendent to replace Jeff Mos. Berg has worked as a superintendent for more than 35 years in Washington, Virginia and South Carolina. He was awarded Superintendent of the Year in 2006 and has been named one of the Top 100 American School Superintendents twice during his career. Moss’ resignation goes into effect July 31. In the Republican primary, Katie Arrington defeated incumbent Mark Sanford and Dimitri Cherny for U.S. House of Representatives District 1. Incumbent Sheriff PJ Tanner defeated JoJo Woodward for Sheriff. Incumbent Jim Beckert defeated George Wright for Auditor. Incumbent. Jeff Bradley defeated Phil Hartman for S.C. House District 123. In the Democratic primary, James Smith defeated Phil Noble and Marguerite Willis for Governor. Joe Cunningham defeated Toby Smith for U.S. House of Representatives District 1. Democratic primary voters in South Carolina voted in favor of legalizing marijuana for medical purposes. The advisory ballot measure, which is not binding and does not change any laws, was approved by an 82 percent to 18 percent margin. Officials are warning Lowcountry beachgoers about possible Portuguese man o’ wars washing up on shore this summer. A number of the jellyfish have been spotted on Sullivan’s Island in Charleston, while two sightings have been reported on Hilton Head this year. The brightly colored creatures are highly venomous, even when dead, and should be avoided and reported to the proper authorities. 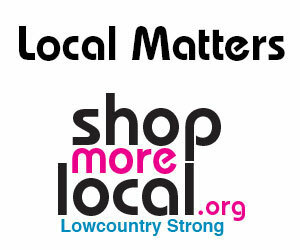 For more information, call 843-785-3494. The catch limit for red drum in the South Carolina Lowcountry will be decreased from three fish to two fish per day, beginning July 1. Overfishing by saltwater anglers and fishermen has caused the species population to decline. Three Beaufort County residents have been selected for National Merit Scholarships: Rasikh N. Hamid of Beaufort, Jacob S. Palchak of Hilton Head Island and Matthew V. Porter of Bluffton. Hamid plans to study medicine, while Palchak wants to go into sports medicine and Porter will study computer programming. Hamid and Palchak graduated from the South Carolina Governor’s School for Science and Mathematics and Porter is a graduate of at May River High School. The Town of Hilton Head Island’s Office of Cultural Affairs announces the launch of The Artist's Gallery at Town Hall, an initiative to celebrate Hilton Head Island's art community. The gallery is slated to open at the end of September and local artists are invited to submit their work to be considered for the gallery. An online application is available at www.hiltonheadartsdaily.org. It’s a good idea to think twice about tossing that plastic bottle in the trash —the landfill that serves Hilton Head Island, Bluffton and the rest of Beaufort County is filling up fast. But if you care and take the time to seek out a recycling bin, you may find yourself wondering: Before I recycle this, do I need to remove the cap? South Carolina will hold primary elections on June 12, with runoff elections, if any, to be held June 26. Registered Beaufort County voters can cast their ballots in either the Republican or Democratic primary — but not both. For more information on the primary or to find out where to vote, go to bcgov.net/vote. Women in Philanthropy held its annual grant awards and business luncheon on May 16 at Colleton River Plantation. The local philanthropic organization’s 2018 theme is “Addressing Women’s Health, Wellness, and Justice,” and grantees this year are: YMCA of Beaufort, $2,000; Neighborhood Outreach Connection, $2,000; Bluffton/Jasper County VIM, $3,500; Women of Faith and Power Ministries $5,000; Good Neighbor Free Medical Clinic, $6,000; Osprey Village $8,000; Hopeful Horizons $10,000; Pregnancy Center and Clinic of the Lowcountry, $15,500; Hilton Head Volunteers in Medicine $10,000. On May 19, these top five finalists came closest to the pin in Palmetto Electric’s Touchstone Energy Million Dollar Hole in One Shootout. (l to r) Stan Dever, first place; Danny Morgan, second place; Andrew Swanson, third place; Ted Morris, fourth place; and Davis Owens, fifth place.